I am an Australian freelance writer and journalist, currently living in Quito, Ecuador. New shoes? A souvenir for home? Don’t worry; Quito’s got you covered. While it may be a small city, Quito is home to a great variety of shopping hubs – from bustling second hand markets to up-market boutique stores. Here are the top picks for all shopping occasions. Ipiales is a warren of pocket-sized stalls, overflowing with discount sport shoes, women’s clothes and Tupperware. It’s a bit of a mishmash but if you’re up for the mission, you’ll find the market has bargain prices on almost everything. The front section of the market mainly sells shoes, with boots, runners and sandals dangling from every corner, with prices starting from around US$10. Push further and you’ll arrive at the electronics and kitchenware section, which perhaps might not seem so useful – unless you’re in need of new headphones, computer cords or a thermos. But most tourists visit Ipiales just for the experience of a local market. You’ll be jostled, offered chicles, sold clothes on the sidewalk. And if you’re lucky, you might even find a bargain. Goodbye ramshackle markets, hello luminous, air-conditioned shopping centre. 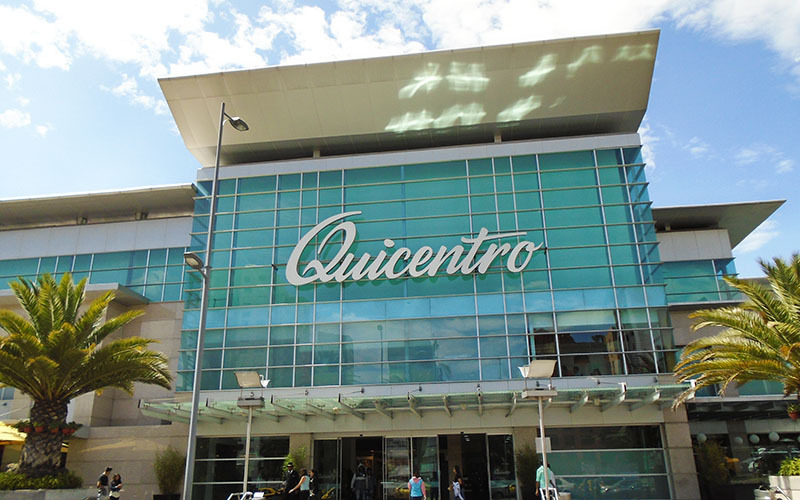 For a completely, different shopping experience, pay a visit to Quicentro, where top-hatted concierges help you find your way and security guards lurk outside Ralph Lauren and Nine West. Like all malls and shopping centres, it has its advantages and disadvantages. On the one hand, you can find international labels like Zara, Pull & Bear and Berksha – all inside the one neat, acclimatized space. On the other hand, you do miss out on the authentic Quito flavor. Outside, people might be selling fried banana and ice cream, but inside you are in a different world, far removed from the reality of most everyday Quiteños. That said; it is a good go-to place for anything specialty or niche that you’re unlikely to find at a market. 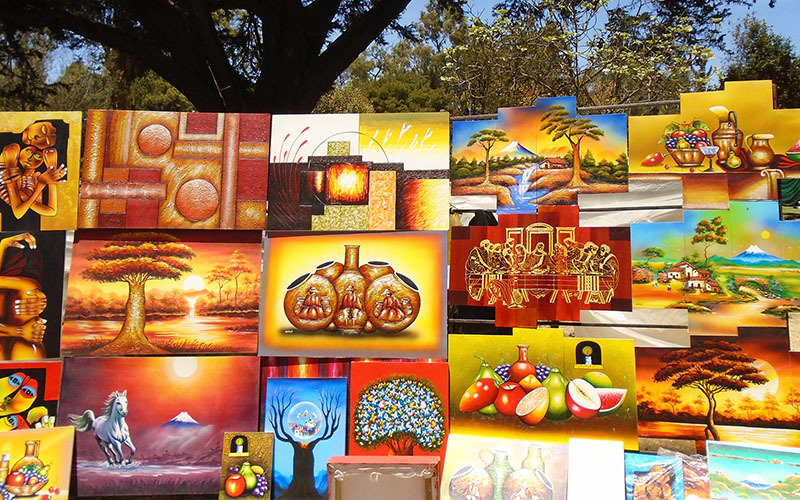 Every weekend, this sprawling park is taken over by local artists and artisans. The perimeter is lined with bright canvases of abstract, modern art while further inwards, you will find jewellery and other knickknacks. Perhaps of most interest is the hand-woven traditional clothing. 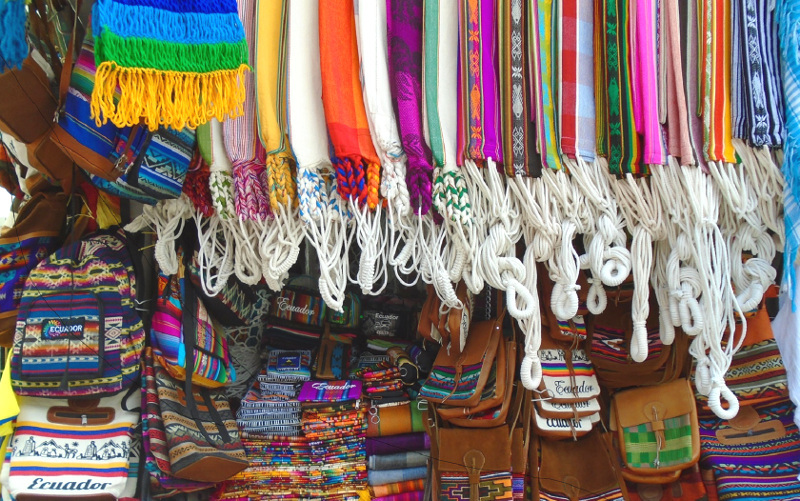 You can find shirts, dresses and pants all made with the distinctive thick and colourful fabric of the native Quechua people. For six years, the owners of Galeria Ecuado have been working to bring together the best of Ecuador’s home-grown products – particularly in coffee and chocolate. The store has an enviable collection of native coffee beans, from the award-winning Bosque Nublado to Mujures, a coffee cultivated solely by women. Coffee experts are on hand to give you a detailed explanation of each blend and a taste-test of your choice. Tea lovers will also be pleased to know there is also a selection of herbal and fruit infusions – with exotic infusions like apple, Jamaica and carrot. Single infusions cost around US$2 or US$7 fro 25 grams. But it is hard to go past the chocolate. 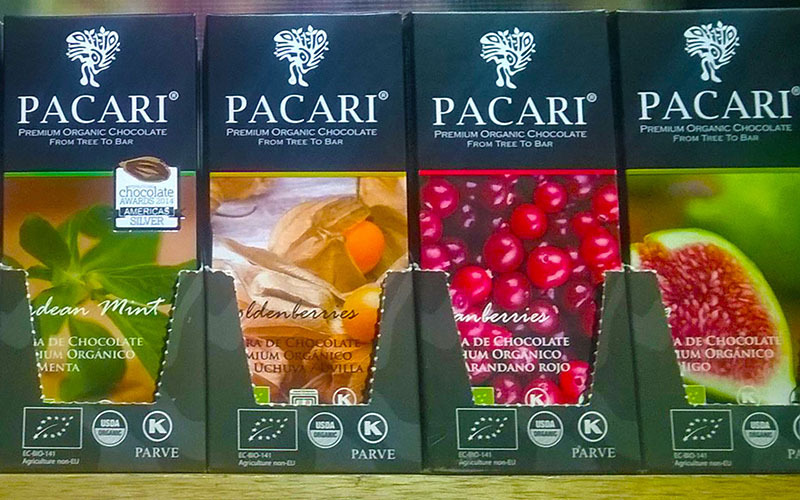 Pacari chocolate is considered to be the best chocolate in Ecuador and one of the best in the world. It is made with a special type of cocoa that only grows in a few locations across the globe – Ecuador being one of them. With this delicate cocoa, Pacari makes all sorts of flavour combos such as dark chocolate and lemongrass, cacao and banana chips and hand pulled Andean caramel. You can nibble on a small square 50c or take home a large box of US$18.70. Before leaving, take a look at the upstairs café (in Centro Histórico) and sign up to a chocolate or coffee-tasting experience. 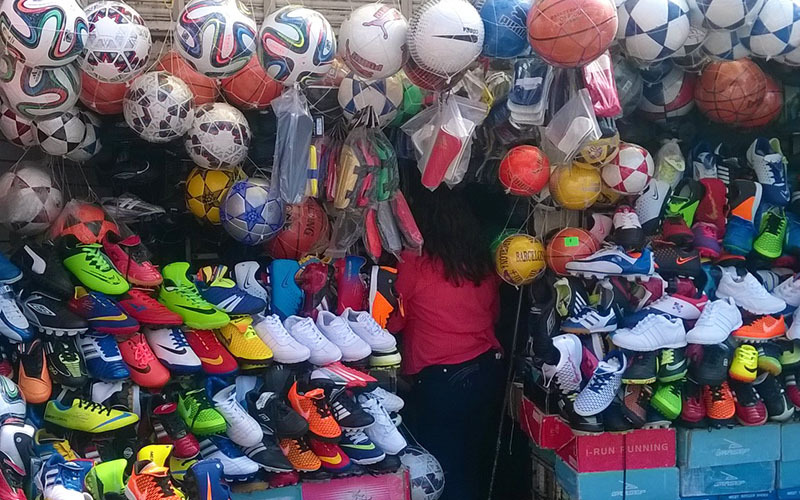 Open every day, these indoor markets have over 100 stalls filled with colourful Ecuadorian arts and crafts. As well as the traditional wallets, bags and scarves, you can find hammocks for US$15, Alpaca-wool shawls for US$18 and lots of cute clothing for kids around US$10.